Maestro Giuseppe Sabbatini, a tenor of international fame, retired from his active career seven years ago, now dedicates himself to conducting: music is his blood flow, his cultural and intellectual nourishment, the expression of his personality and his constantly renewed vitality of refined musician, of various tastes. Now he directs with excitement and joy the musical works that once he was singing on stage. 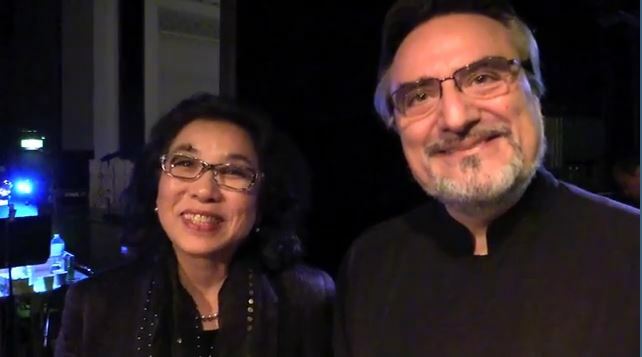 In a theater he feels at home, around the world … and I meet him in Italy after returning from his last project- conducting L’Elisir d’amore by Gaetano Donizetti, November 9, 2014, in the great Yokosuka Theatre, Japan, which this year celebrates the 20th anniversary of the inauguration. 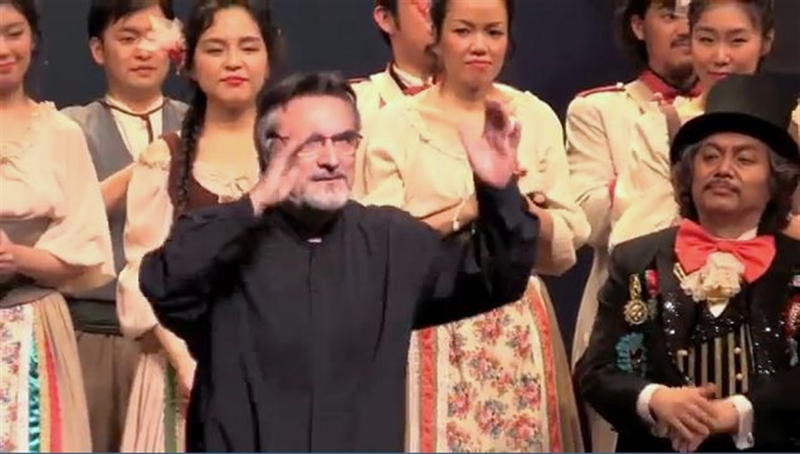 GIUSEPPE SABBATINI: Yes, it’s true … I feel well in Japan, I made my debut there, there I started my career as a tenor; I find myself among people who appreciate me greatly, people that respect me and that respond in the highest level to my musical expectations, also in teaching. Everything is well received. 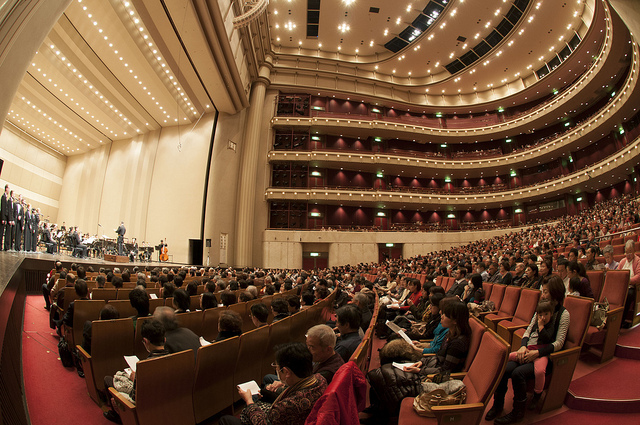 L’IDEA MAGAZINE: What is your role at the time as a musician in the Land of the Rising Sun? 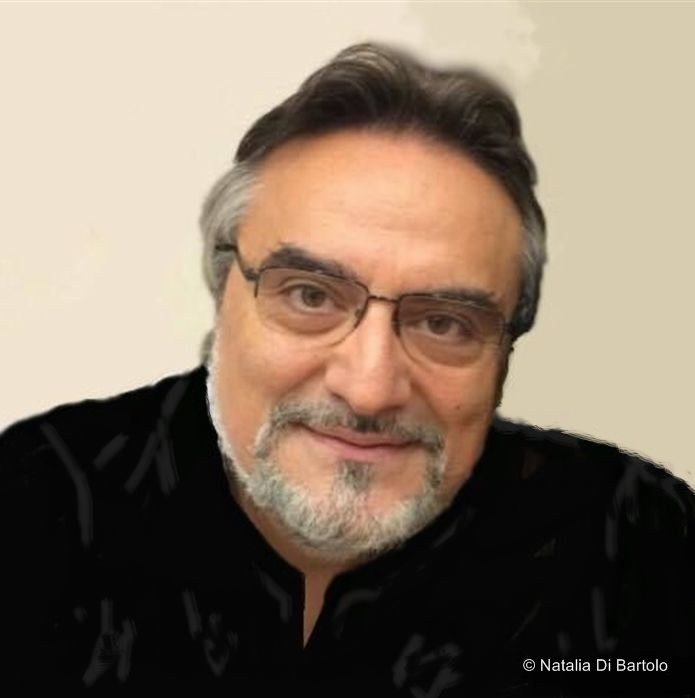 GIUSEPPE SABBATINI: I am a Director of Studies at Suntory Hall Opera Academy, where I teach Singing. 2014-2015 is the 4th academic year, each course including two years of study: we started in 2011. Soul creator of the Academy is Mrs. Keiko Manabe, providing continues support for all of us, using her great talent of an artistic manager. 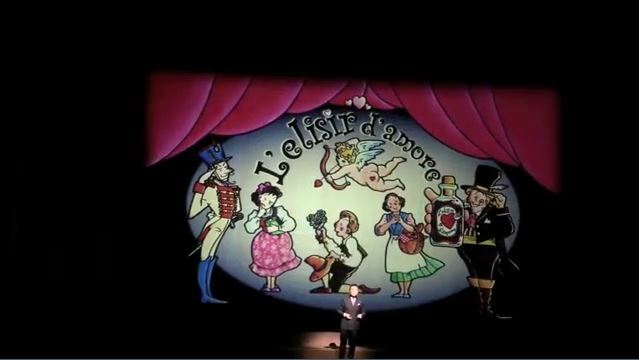 GIUSEPPE SABBATINI: Yes, L’Elisir, this year…Nemorino is a character that I sang many times. 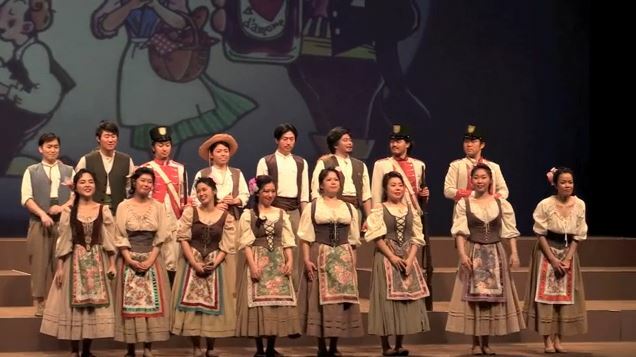 We did a performance in the Theatre of Yokosuka: I sang there Gounod’s Romeo et Juliette in October 2003; last year we made there a production of Mozart’s Così fan tutte, always with students of the Academy. As for the Academy, all the teaching staff is at a really high level: I have four assistants/colleagues among the best teachers of singing at the Tokyo’s Universities; a renowned pianist teaches piano accompaniment to the students (we have also a Korrepetitor section for pianist students). Altogether there are six teachers, with different skills and specializations (Bel Canto, Baroque, German and French Repertoires, Verismo). It is a great benefit for the boys and girls that study; they are getting the best possible. By the way this Academy is all sponsored by Suntory, important Japanese company, without even one yen disbursement from the students! For them, the two years course of studying with us is totally for free. This is an extremely important fact for us. As for the performances within the Academy itself, we try to put on stage a title that will be useful for the artistic and musical development of our already graduated, also actual, advanced students. For vacant roles we do casting. In May I started working on the music… We mount all the work; about a month before the performance we start building everything together; in Japan the performers and the chorus work separately also with the stage director, Michiko Taguchi. L’IDEA MAGAZINE: A really great help! L’IDEA MAGAZINE: The procedure of work? GIUSEPPE SABBATINI: According to the organization, this year, as last year of the study, we did orchestra rehearsals of the 1st act on the first day and 2nd in the second day. The general rehearsal followed. L’IDEA MAGAZINE: And the young of the Academy? How do they respond? GIUSEPPE SABBATINI: Oh, for them I’m really very happy, and proud. The soprano Yuko Sato, who sang the role of Adina, had the Honour Diploma of our Academy in 2012, the first two years of ”Sabbatini’s era”. Adina … very, very good! Beautiful phrasing and control of the voice: very interesting. 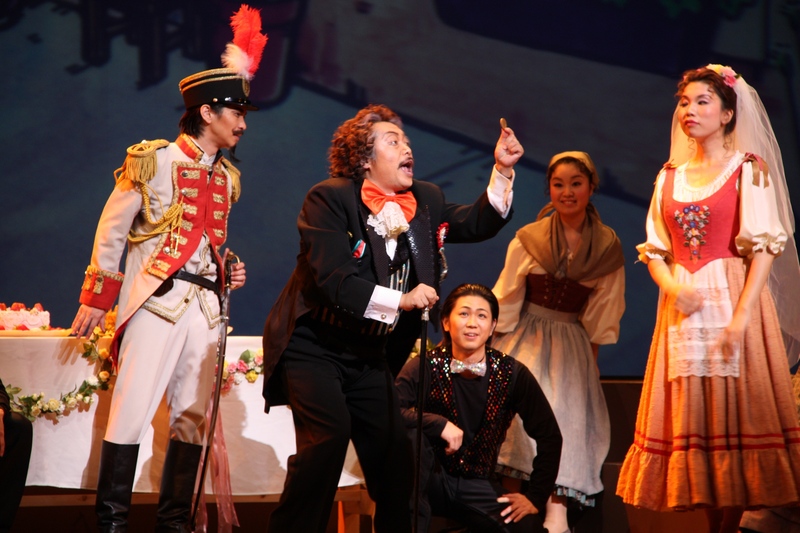 Katsuhiko Nakashima was Nemorino: the Furtiva lagrima was a real jewell … the tenor, although possessing limited vocal power, has a great musical taste … one can hear that he sings baroque style … and singing, has a great stage presence. The bassoon player from the orchestra, also, played the introduction very, very well. Toru Kaku sang Belcore; a light baritone that is constantly singing chamber music (specializing in German Lieder); he did very well, as well as Giannetta, Taeko Shimizu- she graduated in 2012, together with Yuko Sato, during the 1st period of my teaching at the Academy. 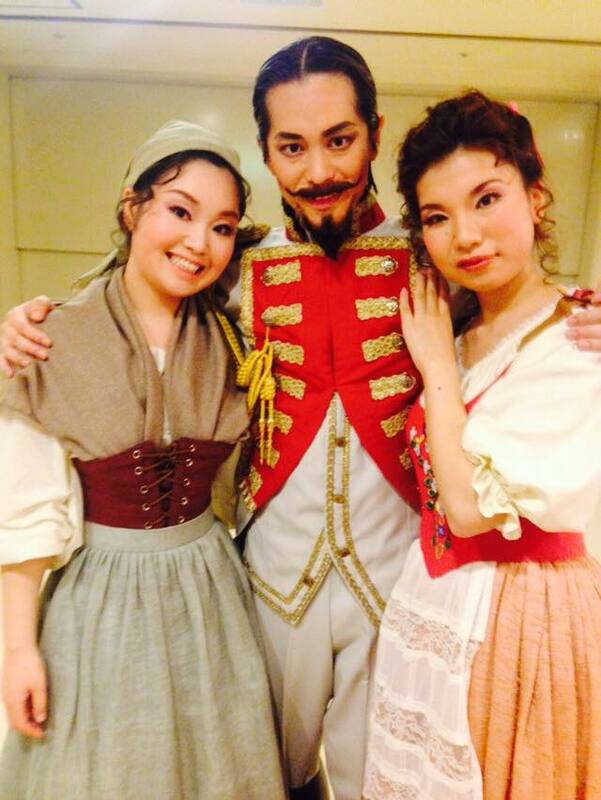 And then Dulcamara, Hideya Masuhara … the protagonist of the evening. He has a great stage presence … well put and with excellent vocal pronunciation. He studied in Parma, for four years, at the Conservatory of Parma. Well done, really bravi, all the soloists! GIUSEPPE SABBATINI: Another satisfaction! The Suntory Hall Academy Opera Chorus is our pride because the group included sixteen singers and 60% of them were students and former students of the Academy… these guys had the great opportunity to have the experience of singing in a choir, while at the same time, as soloists, they are studying with me and my assistants/colleagues. L’IDEA MAGAZINE: And the Conductor Sabbatini? What do you think? GIUSEPPE SABBATINI: What can I say about him? That he is always attentive to the details in the score and loves to color the music regarding the meaning of the words…even when he’s conducting the Suntory Hall Chamber Opera Orchestra Academy. L’IDEA MAGAZINE: I meant, about his conducting? GIUSEPPE SABBATINI: Well, for that I can say- respecting the score in every little detail, I “dramatized” the indications! L’IDEA MAGAZINE: In what way? GIUSEPPE SABBATINI: In the score there are many “crowns” that would not have sense musically, if not interpreted them as a part of some action on stage. Me, together with the stage director, tried to exploit and enhance them! L’Elisir of course it is still a “melodramma giocoso”, with a particular way of the orchestra “commenting” the phrases of the soloists, especially when there are phrases interspersed with homorhythm by the whole orchestra. I did ask for extended breaks in some cases … I slowed down or accelerated these “omoritmie” (it’s what I call them). I try to explain the words: there are times, such as Nemorino/Belcore duet , where the orchestra plays all together the same rhythm, for example when Nemorino sings “Venti scudi?” – Belcore: “Su due piedi” – Nemorino “Ebben vada: li prepara” … etc. … Or, rather, when Dulcamara sings: “Ho qui una canzonetta”- (orchestra) -” di fresco data fuori’ – (orchestra) – “vivace, graziosa” – (orchestra) – “che gusto vi può dar!” The first two sentences are the same, but the third (“vivace e graziosa”) I asked to be played faster and staccato at the end. So you “ruled” the score in a personal and original philological and very resourceful way. L’IDEA MAGAZINE: But what would Donizetti think? GIUSEPPE SABBATINI: I think he would’ve been content! For already 182 years everyone tells their own version…I wanted to tell mine… in this way to me the opera seems different and fresh! GIUSEPPE SABBATINI: Yes, it was a good audience. The “Navigator” Satoshi Asaoka was telling in detail the story before the beginning of each act. 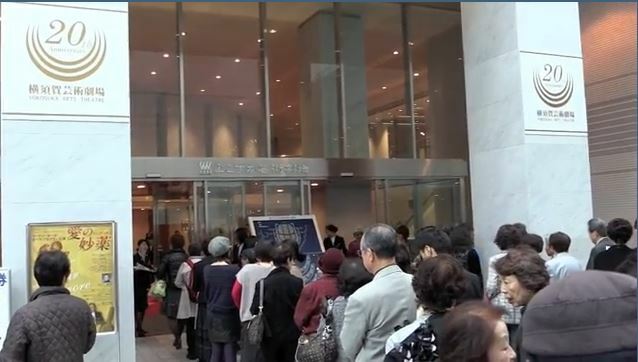 It was a big success for everybody: I am satisfied with everything together, including the warm response of the public.